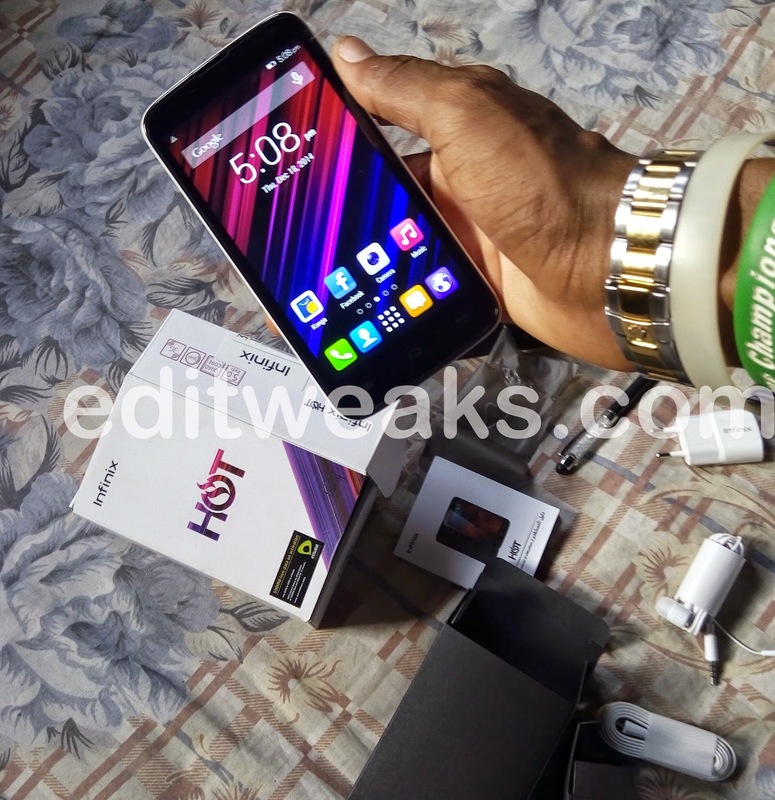 The Infinix Hot X507 is the latest and trending device happening in Nigeria now. Sold with Free Delivery Exclusively by Konga. 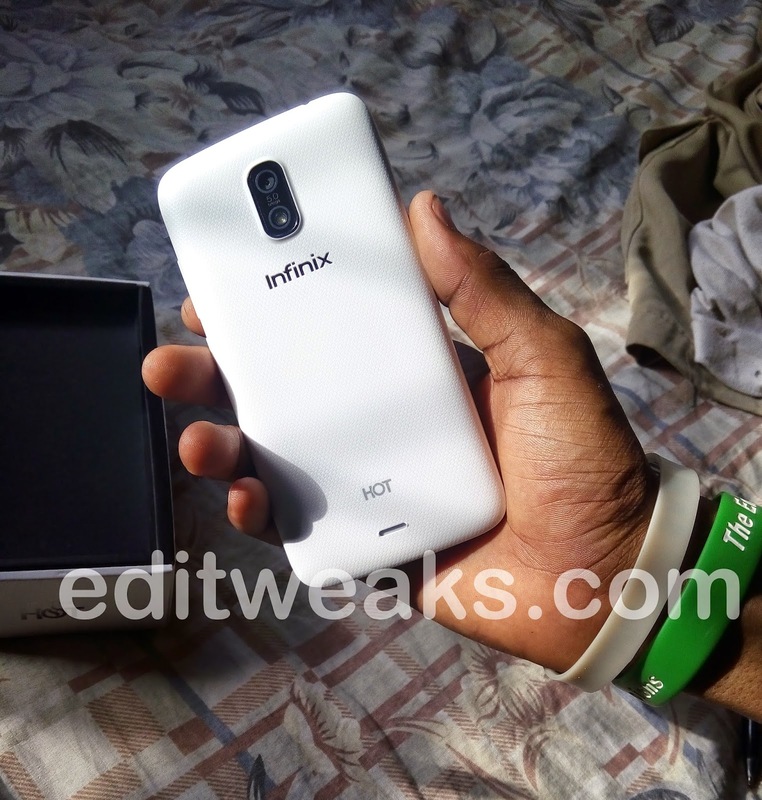 We fortunately got selected among the first that received the review copy of the sweet-looking smartphone, so here-in we'll be giving us the Hands-on Review of the Infinix Hot X507 Smartphone. It's slick powerful features are the main point of tagging it "Turn Me On!". The Box is yet another fine one from the stable of Infinix mobile, with a very impressive design, a Sticker on top saying "Etisalat gives 500MB" upon purchasing and activation for Internet browsing on your new Infinix Hot, that's a huge BONUS for you. 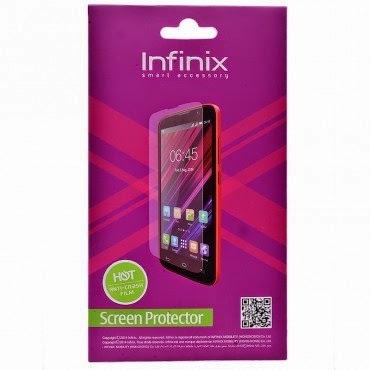 There are 5 colors (back-covers) to choose from the Infinix Hot X507, the colored back-covers glow in the dark. We got a white,, cool isn't it? Behold the Fantastic Display, you expect anything less when the Screen is already Amoled-powered? The result is Crisp and colorful, it was a sweet feel as I touched the screen while scrolling the Menu. You can have a closer look at our photo-shots below. Okay, as I had earlier said, this smartphone uses 1GB RAM and Quad-core processor of 1.3GHz, making quality Speed a certain feature of the Infinix Hot, it took few seconds for the phone to boot up, not some other devices that you'll have wait forever, the performance is very fast and responsive, be it powerful HD & 3D games or Apps, you can do more and Multi-task without fear of any hanging or looping. The Infinix Hot comes with Android 4.4 (Kitkat), and I was very satisfied with the Launcher unlike my Previous smartphones where i had to use GO-Launcher for navigating. - and Assassins Creed 3 amongst others. Battery Life is the major thing I always look out for in many Android Smartphones, I end up disliking most of them because of their batteries but the battery Life of this New Infinix Hot is not doing bad for me at the moment, I'll keep watching it closely as time goes on. There are so many reasons why I like this Smartphone, it seems to have so amazing features compared to the price which seem to be rather affordable. The Inifnix Hot X507 is now sold at Only ₦14,500 exclusively by KONGA. You can ORDER YOURS HERE NOW from Konga.com. You can also get SCREEN PROTECTORS and perhaps and Extra Battery along with the device. In conclusion, there's a huge Bonus like I mentioned before, You'll get 500MB from Etisalat after buying the Infinix Hot X507 from Konga. Another cool smartphone unvieled by infinix.. impressive features according to your listing, and also affordable. Wow!! Amazing article! Can't wait to get mine ASAP!! Great smart phone. 1Gb ram! That's wonderful, no hanging or whatever. Infinix seems to be the top notch in terms of smartphone. Here is just another super cool product from infinix. Yay!! I just can't help it. I'm reading and re-reading this over again. Truly, infinix is next on my Cart. Nice and detailed review you've got here. 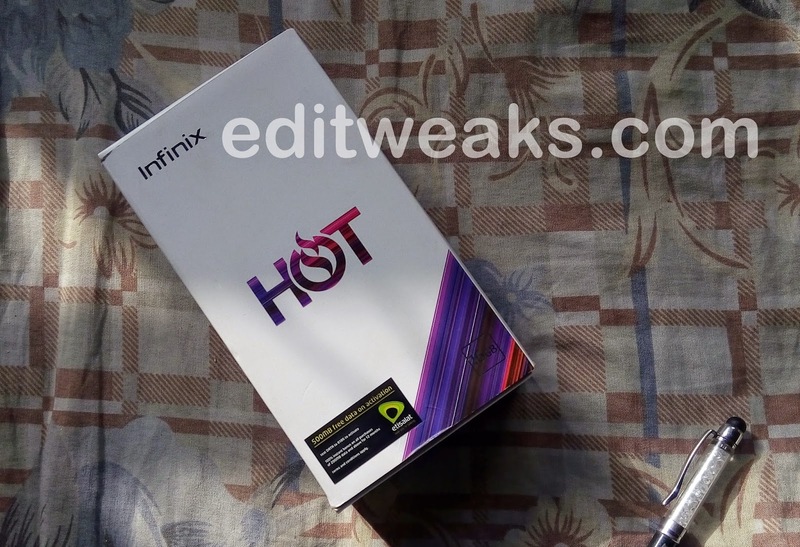 TechsNG also got the device and an unboxing video alongside a quick review has been published (See the infinix hot X507 unboxing video and quick review here). Honestly, since the last few days I have been using the device, it's been awesome especially for the price it comes in. But as expected, there re some few cons which shouldn't be taken so much into consideration. But I just think there are some corrections u need to make..
5 Ways NFC Helps Your Business Grow!